We are a collaborative team of Residential Architects with over 100 years combined experience. 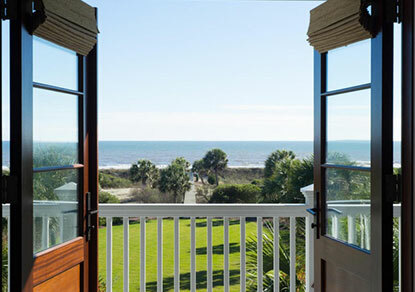 We have developed a focused process of delivering services to our Clients utilizing a clear, concise and time sensitive technique.This approach has created satisfied clients and builders throughout the Lowcountry. 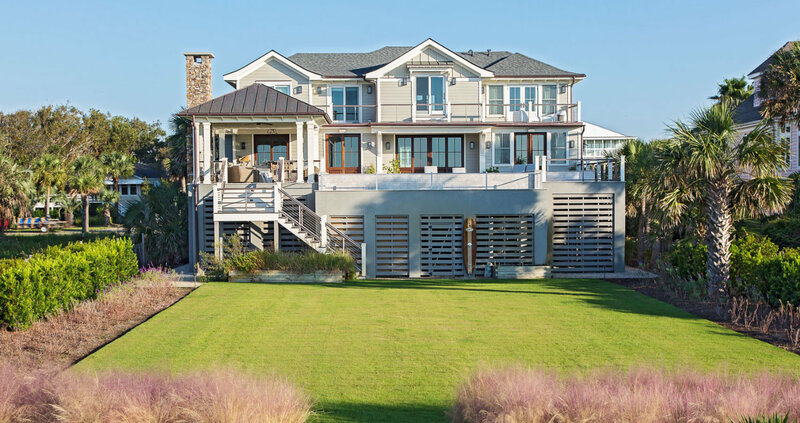 A home that balances public and private spaces, both indoors and outdoors, on historic Sullivan’s Island. 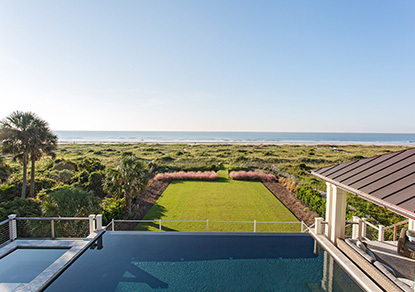 An interior and exterior renovation including an elevated infinity pool and expansion of the outdoor deck and porch space overlooking the ocean. An open plan allows for continuity between the main living spaces and provides uninterrupted views of the Atlantic Ocean. 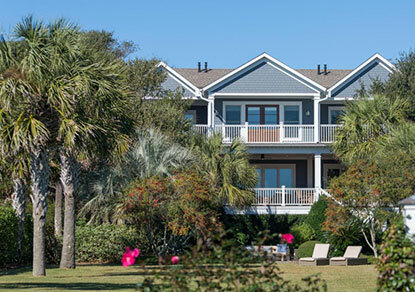 This home was designed to suit a wide but narrow depth lot with views of the golf course on Daniel Island. For this renovation, we added a completely new kitchen that opened up to the dining area as well as expanded the porches on the oceanside of the house, altering the back elevation of the home to a more balanced design. 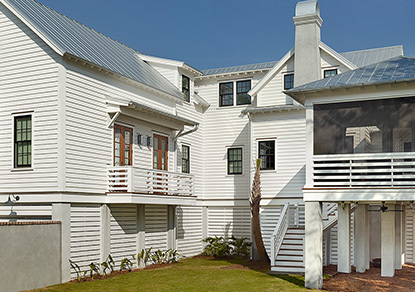 I’m not sure if I require the full services of an architectural design Charleston SC firm. Do you offer free consultations? Yes! When it comes to the need for modern house design Charleston SC, there are many levels and layers of service available. We are confident in our abilities as architects, but what we offer may not be ideal for your needs. To learn more about what we might be able to accomplish for you, contact us today to schedule your initial consultation, for which there is no charge. Do you handle interior architectural design Charleston SC? Yes, but we do much more than simply handle it. We take time to study spaces, working to understand the potential for livability and functionality while remaining mindful of the transitions between interior spaces. Additionally, we place a strong focus on evaluating the materials that go into making interiors ideal spaces for our clients. Our in-house interior design Charleston SC studio knows how to collaborate with clients like you to ensure compatibility, character and comfort in your special space. Your list of services is quite comprehensive. Can I pick and choose from your modern house design Charleston SC services? We are proud to present our clients with a wide range of home designer Charleston SC services, but we also understand that not anyone requires help with each aspect of the design process. Therefore, we invite you to take a look at our entire menu of services so you can decide exactly what suits you and your needs best. 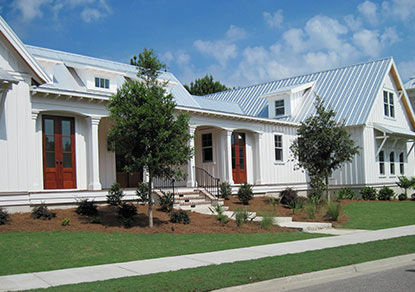 What happens between the process of modern house design Charleston SC and actual construction? This is known as the construction contract administration phase. During this time, we administer the contract between you and your contractor. What is your role during the construction process? You should not have to be responsible for maintaining the integrity of our houseplans Charleston SC during construction, which is why we make ourselves present, acting as your representative. We observe the progress of construction, offering guidance, clarification and insight, while helping you to negotiate home design changes that may arise. 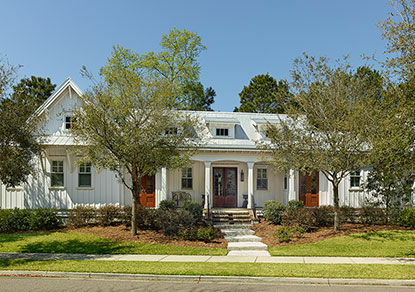 Does your architectural design firm Charleston SC handle renovations as well as new home design? 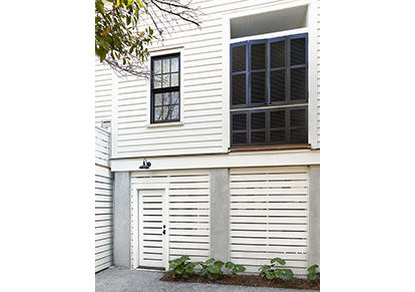 What about new home construction examples of your home designer Charleston SC skills? 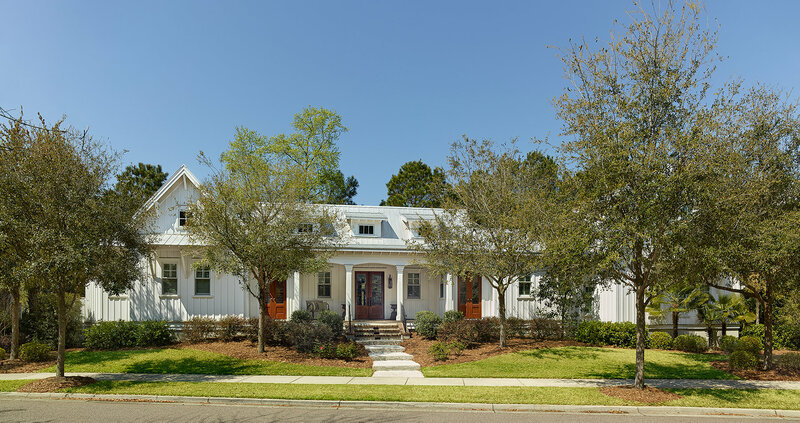 If you’re interested in learning about the type of style and character our house designer Charleston SC team brings to new construction, take a look at our gallery here. Does your design team take my existing lot into account during the conceptual phase of the process? Performing analysis of the site is a crucial aspect of the architectural design Charleston SC process. We visit the site to observe and make note of the sun’s path, wind patterns and views so we can find the ideal siting for your home. The conceptual design process works to enhance and maximize the potential of your property. Design elements are considered at this point as we create sketches that will eventually become completed conceptual designs. These designs are then submitted for approval from the architectural review board. 2214 Middle Street Sullivans Island, Charleston, SC 29482 | 843-882-8067 | info@sandlapperdesign.com | © 2018 Sandlapper Design Group.